Here the IELTS Practice Tests mission is to provide IELTS test-takers with a large resource of IELTS practice tests to help them to achieve their target IELTS tests band score. We also strive to make these practice tests as convenient to use as possible by offering them as downloads and providing them in a user-friendly PDF format. This makes the practice tests easy to view on screen and easy to print. We also strive to make the tests available at the lowest possible price in order that, irrespective of a test-taker’s economic status, he or she can still gain access to this valuable resource. Currently IELTS test-takers from more than 30 countries around the world are using these IELTS practice tests. Customers’ countries of origin include: Argentina, Austria, Belgium, Brazil, China, Denmark, Colombia, France, Germany, Greece, Hungary, India, Iran, Italy, Japan, Korea, Mexico, Mongolia, Netherlands, Oman, Philippines, Poland, Rumania, Russia, Saudi Arabia, Singapore, Spain, Switzerland, Taiwan, Thailand, Turkey, UAE, and Venezuela. 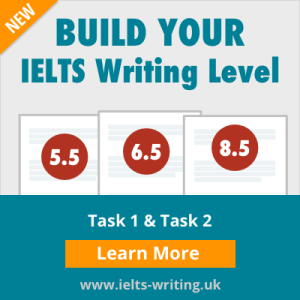 A team of more than 20 people were employed in the production of these IELTS practice tests, including former IELTS examiners, fully-qualified British Council IELTS teachers, native speakers for audios, and graphic and web designers.